The West Coast Railway Heritage Park in Squamish is a museum with trains, a steam locomotive, an escape room and special events like the Polar Express. THOMAS THE TRAIN IS COMING TO SQUAMISH! Thomas the Train isn’t at the West Coast Railway Heritage Park every day of the year, but he is there on May 18, 19, 20, 25 and 26 in 2019. On these dates people of all ages can enjoy a 20-minute ride on Thomas the Tank Engine and meet Sir Topham Hatt. Other on-site activities include mini golf, miniature train rides ($5), a bouncy castle, live entertainment and souvenirs for sale. 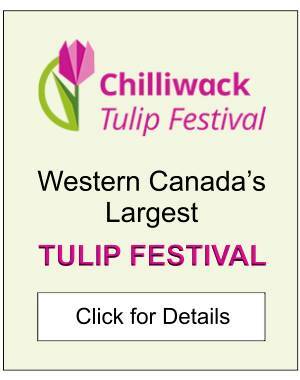 See the WCRA Website for tickets (which cost $28.65 per person) and more details. 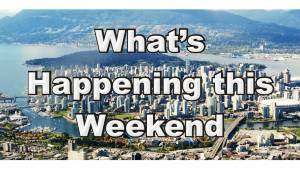 Note: On these same weekends there is also a circus in town in Richmond and then Tsawwassen. 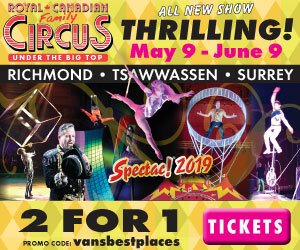 Click Royal Canadian Family Circus for details. The West Coast Railway Heritage Park includes a real steam locomotive (the Royal Hudson), a 3-km miniature railway and a collection of cabooses, train cars and locomotives. It’s where you’ll find the most heritage trains and railway artifacts in Western Canada. The park is set up to resemble a railway yard from the middle of the last century and it’s a fun place for families and anyone that loves trains. The West Coast Railway Heritage Park is open 363 days a year – which is every day except Christmas and New Year’s Day. It’s open from 10 am until 4 pm in the off-season, and usually longer in the summer. Admission costs about $25 plus taxes for adults, $20 for seniors, $15 for students (ages 10+), $8 for children (ages 2-9) and $70 for families (of 2 adults and up to 3 children or students). There is also a mini railway that visitors can go on between mid-April and mid-September for a cost of $5 per person. At the West Coast Railway Heritage Park there are real trains to go inside and a miniature train to ride. There is also a furnished historic home you can go inside, which is very interesting, and a couple of vintage vehicles to admire. New at the venue is Squamish’s first and only “escape room”. It’s a pretty good one too! Set inside a real train car, you get locked inside and have one hour to solve clues, find keys and combinations, unlock locks and escape! The setting for the Billy Miner Escape Room is the late 1800’s or early 1900’s during the time of notorious American train robber Billy Miner (who lived and practiced his trade in British Columbia for a while). It’s a challenging escape room, or at least it was for us. It has a near 100% success rate though, owing to the availability of unlimited hints if and whenever you get stuck. Because of that, it’s suitable for groups consisting of folk of all ages (provided that there are at least a couple of adults, or that it’s a group of older teens). Squamish’s Billy Miner Escape Room is generally booked in advance and accommodates groups of up to six people. The cost is $19 per person. TIP #1: If you need reading glasses to read, take your glasses with you into the escape room. There are messages to read and lock combinations you have to see. TIP #2: If you get stuck and aren’t getting anywhere, don’t hesitate to accept a hint from the administrator. We happily accepted lots! TIP #3: Escape rooms are great team-building exercises and especially fun for people who like puzzles and solving problems. TIP #4: If you don’t have the strongest marriage or stable relationship with your boyfriend or girlfriend, either don’t do an escape room with them or at least be sure to be in a good mood and have extra patience. Escape rooms are fun, but they can also be frustrating! The West Coast Railway Heritage Park hosts a number of events each year including a Thomas the Train attraction in May and a Polar Express event in the lead up to Christmas. Each year the museum hosts a Polar Express event. That’s when children and their families can take a magical 50-minute trip to the North Pole similar to what happens in the animated movie the Polar Express starring Tom Hanks. The Polar Express event usually runs on the last weekend in November and first couple of weekends in December. It too is tremendously popular and usually sells out well in advance. Click Polar Express for more information. Every year in May the museum hosts a special Thomas the Train event for children and their families. The Day Out With Thomas Big Adventures Tour usually takes place on the last couple of weekends in May. On those days, at set times, visitors can take a 20-minute trip on the Thomas the Tank Engine and meet Sir Topham Hatt from the popular children’s book. The event sells out every year so you need to book your tickets early. The Refresh Spring or Winter Markets take place in the main building at the Squamish railway museum in mid-April and mid-November most years. When it does 100+ local artists and artisans are on site selling their wares. Admission to the market is usually around $5 at the door (or $3 in advance). The Refresh Market isn’t a West Coast Railway Heritage Park event. Rather, like many other events, it’s a privately run event that simply rents the venue. It’s a good market though – and a big one – and definitely worth checking out. For information about similar markets in other parts of the Lower Mainland in November and December click Vancouver Christmas Craft Markets. Below are some tips to help you make the most out of your experience at the attraction. TIP #1: If you go on a weekend in the summer, and there’s a bit of a breeze, drive a ways further down the road to Squamish Spit. At the Spit, assuming good weather, chances are you’ll find kite-boarders having fun at one of Canada’s top kite-boarding destinations. In the right wind they can be fun to watch. TIP #2: The West Coast Railway Heritage Park is a participant most years in the Kidsworld Program where children ages 4-13 can attend a selection of area attractions on specific days of the year along with an accompanying adult at no additional cost! It’s a great deal, especially if you want to visit places with trains you can climb aboard for cheap! TIP #3: If hoping to take part in the Thomas the Train or Polar Express events, reserve your spot early – tickets sell out months in advance. TIP #4: Travel between October and March on the Sea to Sky Highway requires vehicles to have tires approved for winter driving. For more information, check out the West Coast Railway Heritage Park‘s website. 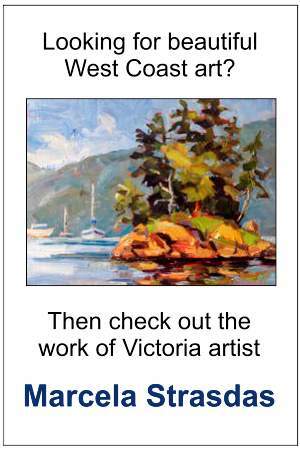 For ideas about other things to do in the area, click Squamish or Sea to Sky Region.